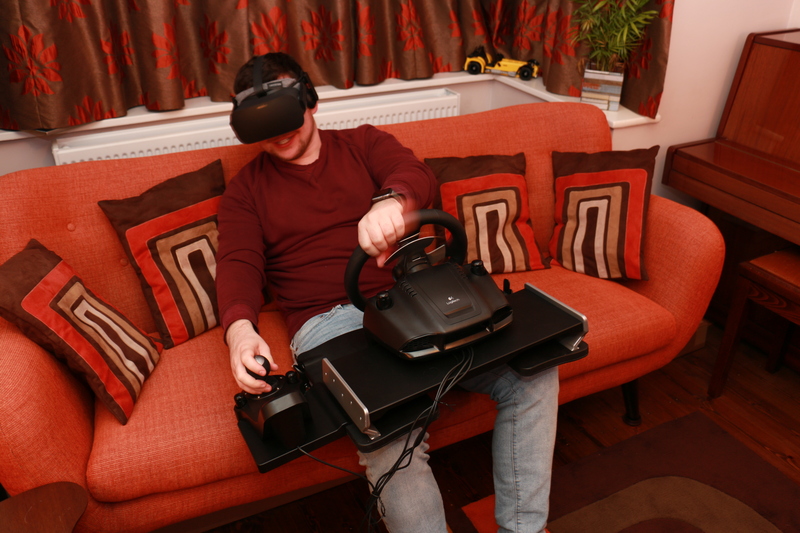 Transform your gaming experience with Vamtor. 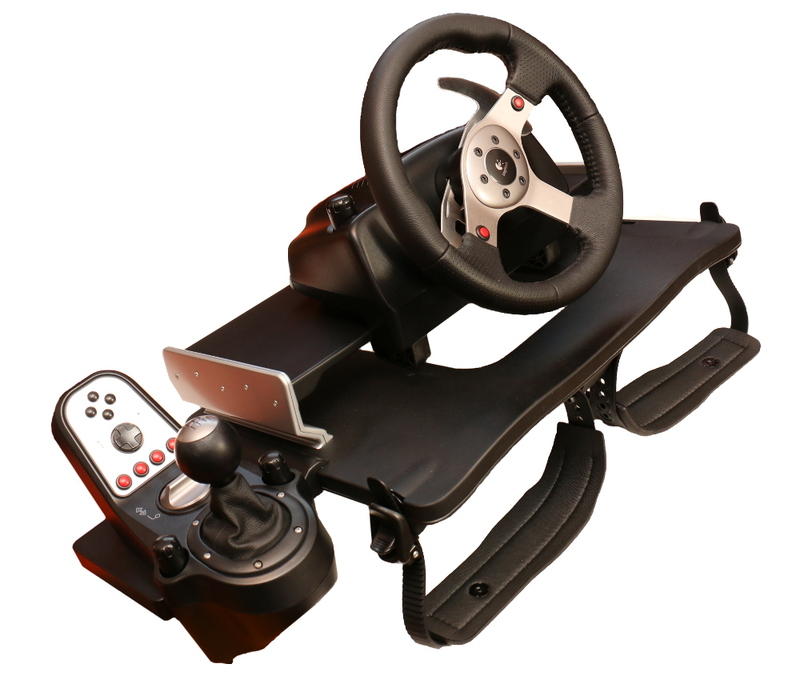 The LD10 enables you to use your gaming wheel of flight controls anywhere you want to! Even with your VR! 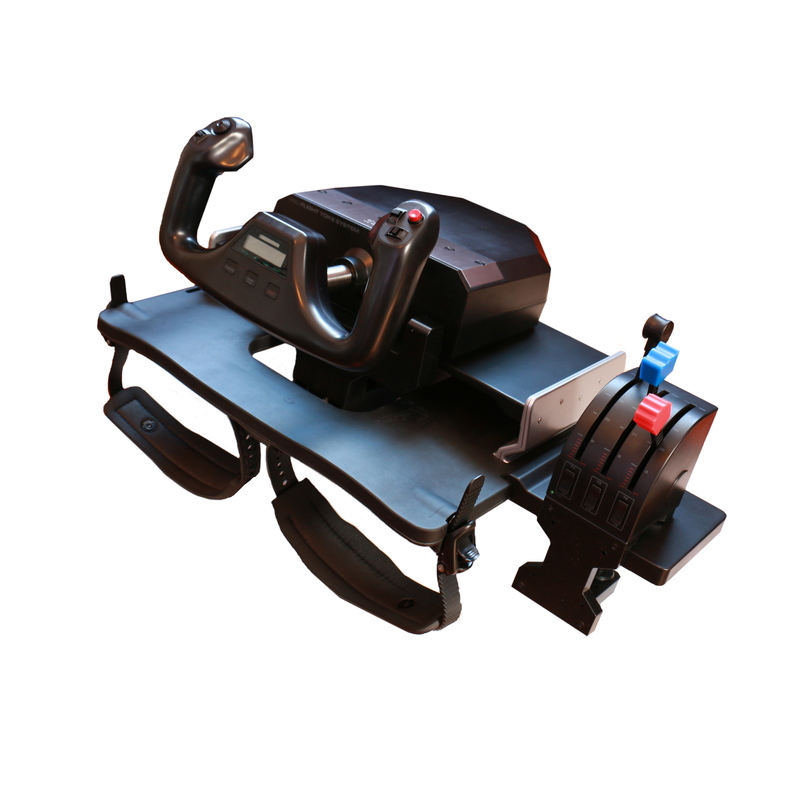 Farming Simulator Fans, Vamtor is compatible with Saitek farming sim controls! 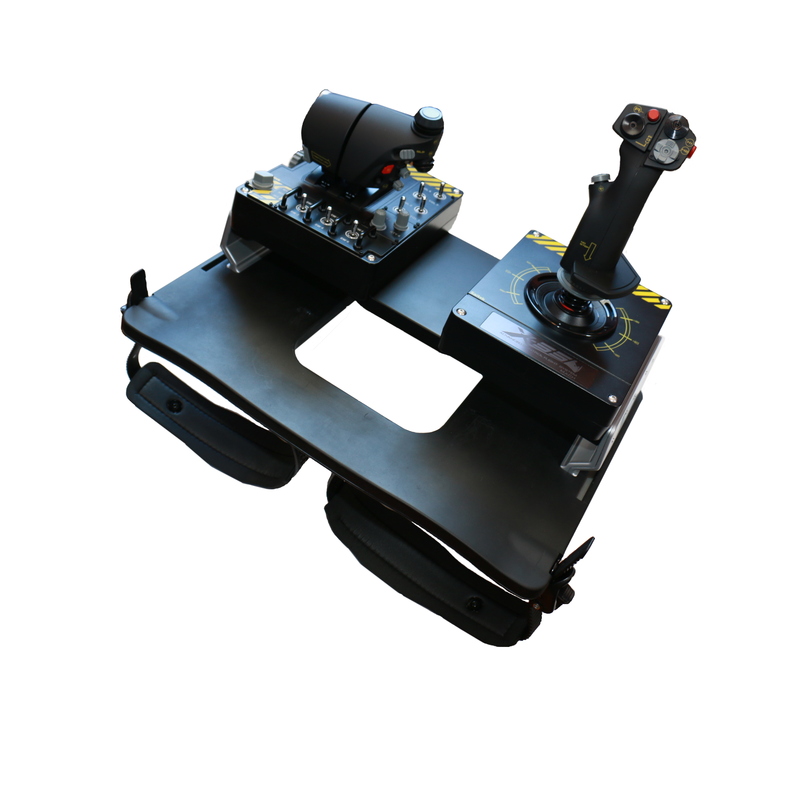 For flight gaming fan the LD10 is Yoke System and X-55 and X-56 flight controls. For the latter pre-drilled holes will be provided in the top deck. I was really impressed with the way I could game for hours without knowing that it was on my lap, I thought other gamers must also want a product which is compact and a lot cheaper than other options. The response from other gamers has been amazing so now I will be launching it on Kickstarter. All I need is other like minded gamers like you to support my project! Sunday 23rd April 1pm BST, 2pm central Europe, 8am EDT. Starting from only £50 if you catch the super early bird special! Be ahead of the press releases on Monday! Please subscribe so you can be first inline for the early bird special! The side desk is for your gear stick or snacks! 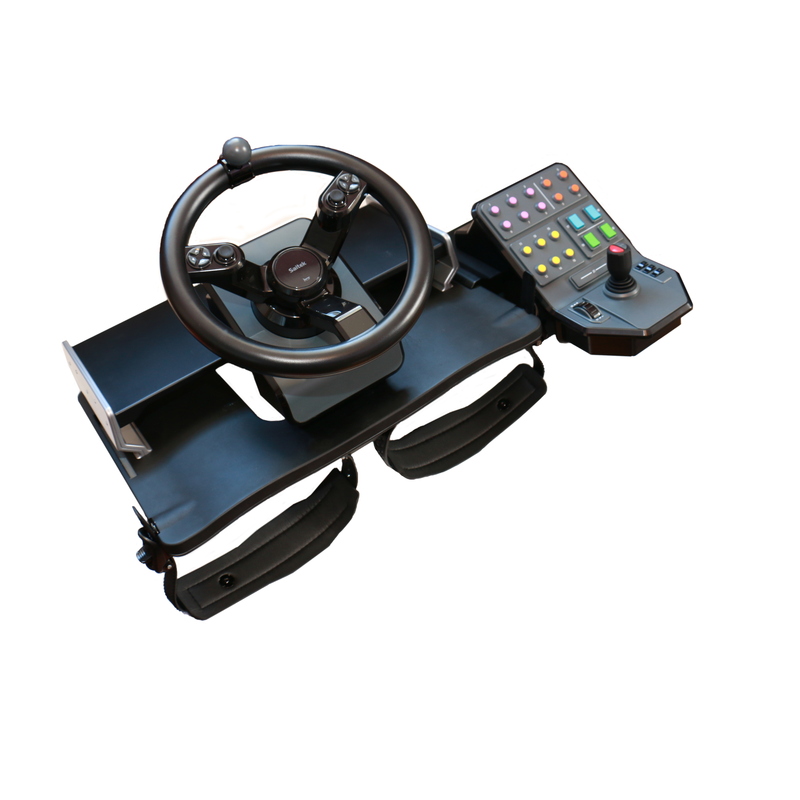 The LD10 is universal across brands of steering wheels and their different products. The top deck is to designed to accommodate the different clamping mechanisms. As mentioned the production version will also have pre-drilled holes and I will provide a fitting kit for wheels which are bolted down. Full list of compatibility below, if I have missed one let me know I will do my best to accommodate you! The side decks allow for the fitment of gear sticks and additional controls, snacks, probably not drinks. The straps go around your legs at about mid thigh. you can move it up and down your legs so the reach is right for you. 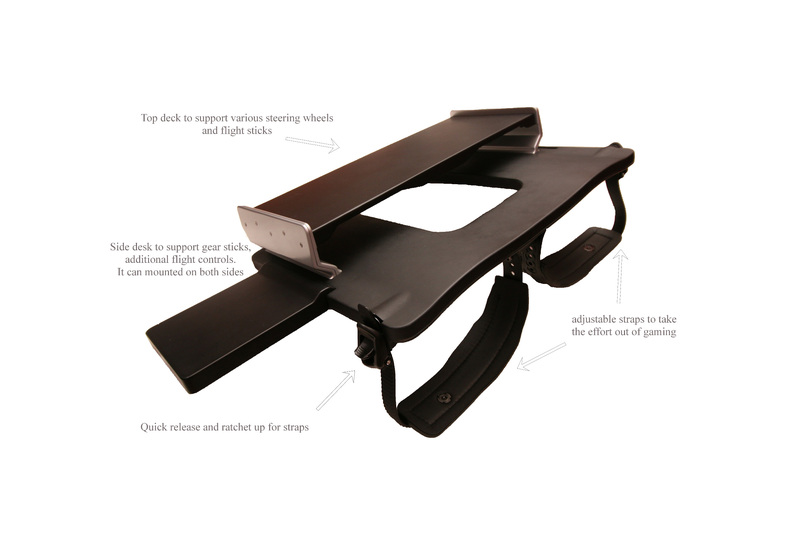 They only need to be loosely done up to provide enough support, I use my prototype for hours of great gaming without fatigue or knowing its attached to my legs. and it doesn’t effect the use of the pedals. 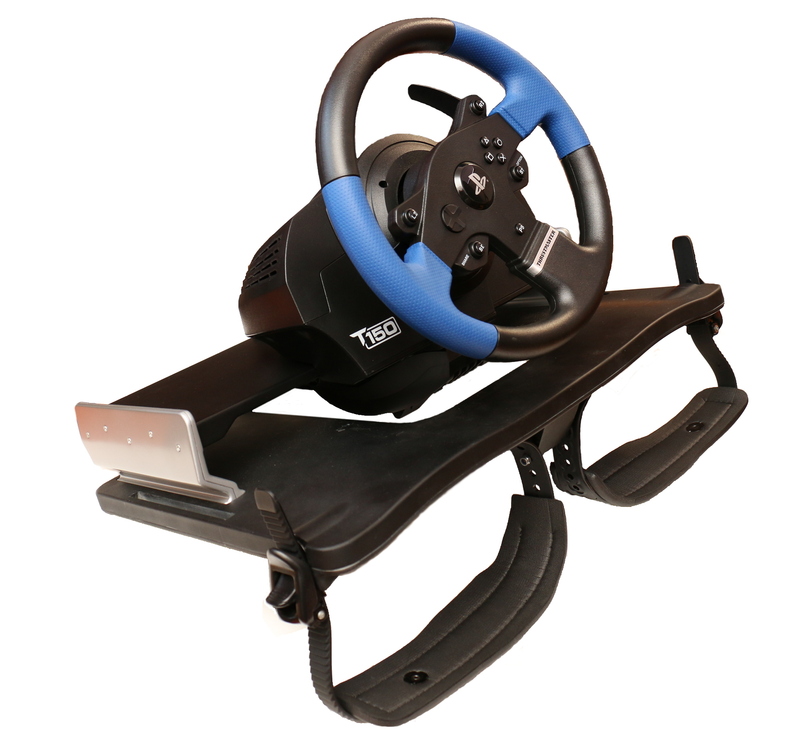 It is compatible with most brands wheels and gear sticks. 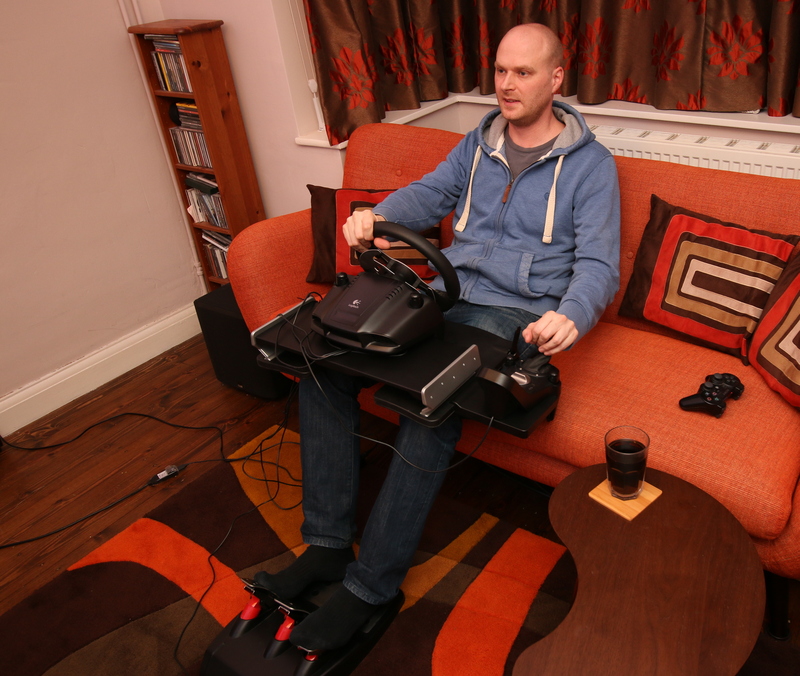 It is also compatible with some yoke control systems and flight sticks.